As some of you know, we use computers to do Real Work™ so we’re pretty much agnostic when it comes to operating systems and hardware. We have Windows machines and Macs and Linux servers from quad-core systems that will heat your house to Raspberry Pi’s and BeagleBone Blacks that can run full-featured phone systems. We also take full advantage of cloud-based solutions from Amazon to RentPBX to Copy.com when it is cost-effective to do so. And we give equal time to iPads and Android tablets as well as iPhones and Android phones of many flavors. When Microsoft moved into copy protection for Windows, we began transitioning to Mac OS X and Linux to handle stuff that mattered to us, but we always kept a foot in the door with Microsoft hoping things might turn around. They haven’t, and Microsoft frankly has no one to blame but itself for the demise of the PC. It’s become almost impossible for mere mortals to maintain, and we’ll get to that story in a minute. For those that would write us off as yet another Apple fanboy, you obviously haven’t been reading Nerd Vittles for long. 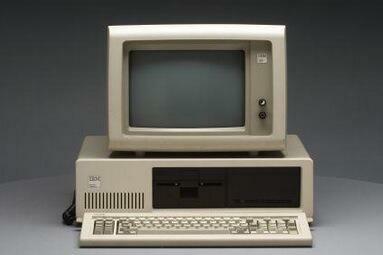 We started in the PC business with the third IBM PC sold in Atlanta in the early 1980’s. DOS 1.0 came with a beautiful hard-bound binder that included all of the source code for the operating system. With dual 160K floppies, the price tag was about $4,500, and that’s 1980 dollars when Cokes were still a nickel in Atlanta. When the IBM AT was introduced, we championed the deployment of what would become 30,000+ systems in the federal courts with accompanying HP LaserJet printers. When DOS 3.1 was introduced, we deployed networks in hundreds of courthouses by clipping network cables to the ceiling tiles in the offices to avoid the risks associated with asbestos in many of the old federal courthouses in the United States. When Dell introduced servers, #6 and #7 arrived in Atlanta the next week to run our new Novell NetWare systems. We thought we had died and gone to heaven. But something happened along the way. Windows was introduced with much fanfare but suffered growing pains for nearly a decade. Despite the fact that Windows bore striking similarities to the work of Apple and Xerox, Microsoft wasted little time engineering the demise of WordPerfect and Lotus 1-2-3 through "software anomalies." And then came copy protection to make sure others couldn’t do what Microsoft had turned into an art form. And that brings us to yesterday at the new Nerd Vittles headquarters. We’ve been moving this month, and my office transition was low on the totem pole in the family priorities as only those of you with families can appreciate. We had set up a few desks and a state-of-the-art Dell XPS One for temporary use during the transition. As we previously have written in our touchscreen roundup, the XPS One is truly an engineering marvel in a league of its own. If you haven’t seen an XPS One, it is close to the perfect, touch-screen All-in-One hardware platform that we’ve all dreamed about… except it runs Windows 8. Our "real work" still gets done at a stand-up desk in another room using an iMac with redundant drives. After writing a couple letters on the XPS One, it suddenly started locking up in the grandest Windows tradition. No notice, but no mouse or keyboard functionality either. Reboot and all is well for a couple minutes, and then more of the same. Within an hour, nothing worked and the dreaded "No boot device" error appeared on reboot. Reaching for the Windows 8 DVD provided by Dell didn’t help either. It complained that there were no drivers for the hardware. Nice touch, Dell dudes! Since the machine was less than a year old, it was time to call Dell. To their credit, the call was answered promptly. And our 90-minute support call begins. After a 15-minute registration process, we finally were handed off to India. With excruciating clarity, Noah walked us through F2 and F12 Hell attempting to identify what had failed. All of Dell’s diagnostics reported that we had a perfectly functioning computer except for the minor detail that it wouldn’t boot. In the end, the resolution was to ship a new motherboard and hard disk for installation by a local service tech. Noah then asked, "Do you have a backup." My response was easy. "I don’t need one. We don’t do anything on this machine that isn’t saved elsewhere." The reason is simple. It’s almost impossible to make a useful backup of a Windows machine. You still have to restore the operating system first and navigate the copy protection minefield before you ever get to your backup. Yes, we know there are alternatives, but cumbersome doesn’t begin to describe that process. And, if you are one of the poor souls that relies upon Comcast and their "free" Norton backup, then you have another Chinese fire drill to endure getting all of that installed before you ever can restore your actual backup files. In short, it’s a multi-day ordeal even assuming nothing goes wrong in the laborious process. As Noah was wading through the weeds trying to make Windows 8 come back to life, I couldn’t help contrasting the Microsoft/Dell situation to what I have experienced in the Mac world with a similar catastrophic failure. You simply turn off the Mac and then restart it while holding down the Option key. When the list of hard drives appears, choose your USB-connected backup drive and wait for the system to boot and all of your data to reappear. When you finish what you’re doing, shut down the computer, carry it to the Apple store, and pick it up in a couple hours with its new hard disk. Restore the external drive with the click of a button, and you’re back in business. With all due respect to Noah, what I keep asking myself is why anyone or any organization would endure this kind of misery just to use Microsoft’s copy-protected crapola. Tedious doesn’t begin to describe the 90-minute ordeal which is merely Phase I of a week-long process. Multiply that by thousands of PCs in an organization, and you’d be visiting the closest gun dealer begging anyone to put you out of your misery. When I see every kid with zero interest in a desktop computer of any kind, I think we all have Microsoft to thank for the rise of the tablet and cellphone. If an iPhone or Android phone dies, you move your SIM card to a new one and reboot. All of your stuff reappears without touching anything. Who would want anything else? Michael Dell is a smart guy with lots of money and a (once again) private company. If he wants to stay in business, he needs to figure out a way to kiss India goodbye and develop a functional backup and restore methodology that’s as easy as what you find on a tablet or cellphone. Short of that, our love affair with Dell will end when our 3-year extended warranty comes to a close. I can’t say it’s always been fun, but it has been a Wild Ride! Epilogue: After completion of our call to Dell, it took 21 hours for the local service tech to receive the parts from Dell, arrive at our doorstep, and complete the motherboard and hard drive replacement. Very impressive! Unfortunately, the kudos end there. And that’s exactly the point of this article. The replacement drive was shipped blank with two DVDs and a Windows 8 product key. The process to get back to the functioning system we previously had involved reloading Windows 8 plus all of the software updates plus the free Windows 8.1 upgrade. Total time: a whopping 21 hours! And this was before we ever restored the first backup! It’s a procedure with good imaging technology that could have been completed in about 15 minutes. So our conclusion remains the same. Absent some focus by Dell in addressing the restore shortcomings with hardware failures, the best hardware in the world isn’t going to keep Dell or the Microsoft desktop empire afloat. Painful doesn’t begin to describe this ordeal for the average consumer. I never really liked Dell products. They look and feel cheap no matter what they do. In 2003 My Dell laptop disintegrated as if is was a rice cookie. Yes, as if the plastics expired and started to (almost) melt. Anyway, that day I swore I would never buy Dell products again nor recommend Dell to anybody, one of the best decisions I have ever made. I had a similar experience with Windows 8. I got W8 and all my software installed and everything was fine. Suddenly a message balloon appeared saying a serious disk error had occurred and to reboot. After rebooting W8 said there was something wrong with W8 and it would try to fix it. Eventually W8 came back and said it couldn’t be fixed. So I decided to just forget the whole thing and stick with XP and W7. One lesson I learned was to keep the OS and my data on two different disks. W8 is just downright unusable – even 8.1. so i only use XP and W7. But it terms of backup and restore, I use Clonezilla and use it to clone my XP and W7 partitions – for my 3 family laptops and 2 desktops. I have had to restore about 5 times – and each time, restore vs bare metal OS has been a huge timesaver. All data is backed up in at least 2 different places – another hard disk and a USB drive with another selective layer such as photos/videos in picasa to DVD’s and my imp stuff to dropbox. It sounds like you had an issue with the "hardware" in this Dell system and not the "software" of Windows 8. Copy-protection or no, if the hardware had not failed, then this article wouldn’t exist. Please stop trying to wring out another "Microsoft is evil" article when this should be aimed at hardware manufacturing and testing practices. I use Microsoft products willingly and ably. All of the issues people complain about, I’ve never experienced. I have used many PCs. I have customers who are using many PCs. I know that this doesn’t mean there aren’t issues, but if people are having hardware problems and they blame those problems on Microsoft, that’s just not right. How would you feel in this scenario: someone builds a PIAF machine and gets it up and running and everything is working fine, but a week (or a year) later, their hard drive crashes. They start cursing PIAF and Linux because the motherboard had a problem. Sound familiar? It’s what you are doing in this article, except instead of running Linux, you’re running Windows. [WM: As noted in the article, all of the diagnostics indicated that there was no hardware failure. And Dell has very sophisticated diagnostic tools built into the BIOS of their high end machines. Out of an abundance of caution, Dell replaced both the drive and the motherboard anyway. Who could complain? With a system that’s less than a year old and more than a week old, hardware failures are extremely rare during my 30+ years using PCs. Doesn’t mean there wasn’t a hardware failure, but it’s unlikely. We’ve also seen similar failures on other Windows 8 systems that worked fine after a complete reinstall of Windows. [WM: And have you tested it with reliable results? Not saying it doesn’t work but if a system can’t find drivers on its Windows boot DVD, I’d be surprised if you had any better luck with a backup image that also had to rely on Windows to boot successfully. And, again, there is the copy protection problem once you swap out a motherboard. But to each his own. It’s funny to even try to compare this with Apple. Not only did their wonderful backup/restore procedure with the catchy marketing name completely fail because it couldn’t copy one (1) jpeg file and left me with a system that wouldn’t boot hence needed a complete reinstall anyway, Windows does have tools to backup your complete system to external media and restore it in one go. That is pretty much the same imaging system that enterprises use to install computers, the one that can do many computers using multicast, scheduled without any human intervention, bare hooking up the hardware to power and network. At least you got to get a technician on site to replace the motherboard and HD. With Apple and even with a care pack, I still didn’t get a technician for a 2500 USD Apple pro. I called them, told them the GPU was broken, but some 20 year old obviously believed the customer didn’t know what he was talking about. So there we went, first repair permissions which took a good part of 7 hours. The next day it was on to a reinstall of Leopard and applications, which again took the best part of the working day. Then on the third, the apple representative finally was convinced it wasn’t some software or configuration problem. So I was told to go to the nearest Apple care center (or whatever name they used, could be service center, I forgot). Of course I protested and told them to send a technician, or simply a replacement nivdea gpu, because there was no doubt it was indeed the GPU that was broken, but no I needed to take the heavy box into my car, drive an hour to the service center and explained to them what the problem was and what had been done about the problem previously. Now after another five (5) working days, they called me to tell me the mac had been repaired. So back in the car, and towards the service center, where a technician (and the report I got) indeed told me the GPU had been replaced ! The user concerned couldn’t use this expensive machine for 9 ! Working days and had to make due with some laptop, which lacked some of the applications she relied upon to do her daily job. This is why you don’t see many Macs in enterprises. Regarding copy protection, that shouldn’t be any issue, especially since product keys are inserted into the bios nowadays, so activation should be fully automatic. I can strongly relate with your pain in this article Ward… I see this as a combination of many issues with Windows/Microsoft which have slowly pushed me away from them over the years. During one of my last dealings with Microsoft, I was purchasing a batch of new computers for the organization and had planned on getting one setup, sysprepping it, and then imaging the drive in order to have all of the others up in minutes. However in the process, I found out that it is illegal (in violation of license terms) to clone/image a Windows OEM version – so no quick and easy backups for easy restoration!!! If you want to image Windows machines, you need a Volume license… which are pretty costly, and they certainly don’t give you a discount if you buy 5, 10, or 20 licenses. The problem is that this is a full Windows Pro volume license, and is expensive, and NOT a Windows OEM license upgrade. So you don’t need to have already purchased Windows… however you can’t [easily] actually buy most computers WITHOUT Windows – which is completely stupid for enterprise machines where you will have to buy volume liceneses anyway. It boils down to the fact that they are selling businesses two different Windows licenses per machine… and small businesses or home users content with OEM (Home or Pro) are in breach of terms if they use disk imaging to backup their system. Small business owners just figure they are too small to have to worry about Microsoft coming after them. And home users don’t bother with reading the EULA anyway. I do believe that with the price point of Windows 8 being as low as it is, there should be no excuse for anyone pirating Windows 8, unless they are just trying to "stick it to the man." It is not as pricey as previous versions of Windows were and I think that’s because Microsoft looked at the numbers, realized that people pirate software because they think it’s too expensive and then they lowered the price to a point that makes it a little easier on the wallet while still making money for Microsoft. As of Win7, the trick is to image your boot drive. Control panel / backup and restore / create a system image. You’ll need an external drive a bit larger than the part of your boot drive you’re actually using. When done select "create a system boot disk", which can either burn a boot CD/DVD for you or (I think) setup a USB drive. If/when your boot drive fails it’s actually pretty easy to get back to where you were.